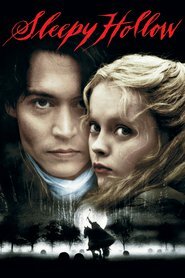 Living... more than 250 years after he was born in Sleepy Hollow, New York. Crane fought in the American Revolution and was later killed while beheading the Headless Horseman (the Horseman got him as well). Now it is the 21st Century and he has been mysteriously revived. Profession... police officer. Albeit the oldest, strangest member of the Westchester County force. Back in the late 1700s, he was a history professor before spying for the colonies during the Revolution. Now he has to stop the Headless Horseman, who has also been resurrected, and the three other Horsemen of the Apocalypse. Interests… learning about the occult, the supernatural, and the strange new world of the 21st century. He sees multiple Starbucks on each block and asks, “Is it a law?” It’s a good question. Relationship Status... married to Katrina Crane, a nurse during the American Revolution. She is the reason for his resurrection. After he was wounded by the Headless Horseman, she placed a spell on him to keep him alive. And when she appears to him in a dream, he learns she may be alive, too – trapped between this world and the afterlife. Challenge... preventing the coming Apocalypse alongside his new partner, Lt. Abbie Mills. Her old partner and mentor, Sheriff August Corbin, was killed by the Headless Horseman. But before the sheriff’s death, he kept detailed records of the supernatural history of the town. With Crane’s firsthand knowledge, he and Lt. Mills can work together to stop these scary new forces that are decapitating the citizens of Sleepy Hollow. Personality... blunt, brilliant, brave, and bafflingly serious. Subtle humor made significant strides while he was underground. Abbie is initially the only person who doesn’t think he’s crazy, and for that he remains loyal to her. Though he’s confounded by modern day America, he doesn’t let that stop him from completing his mission to prevent the Apocalypse. He killed the Headless Horseman once and will stop at nothing to do it again. Ichabod Crane's popularity ranking on CharacTour is #1127 out of 5,000+ characters. See our top-ranked characters and read their profiles.